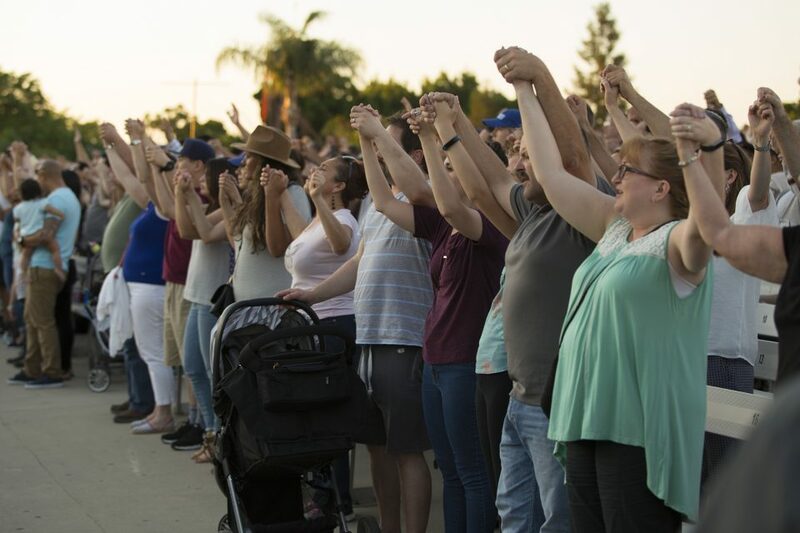 On Memorial Day, Franklin Graham’s Decision America Tour bus rolled to a stop along the Central Valley of Fresno, California. 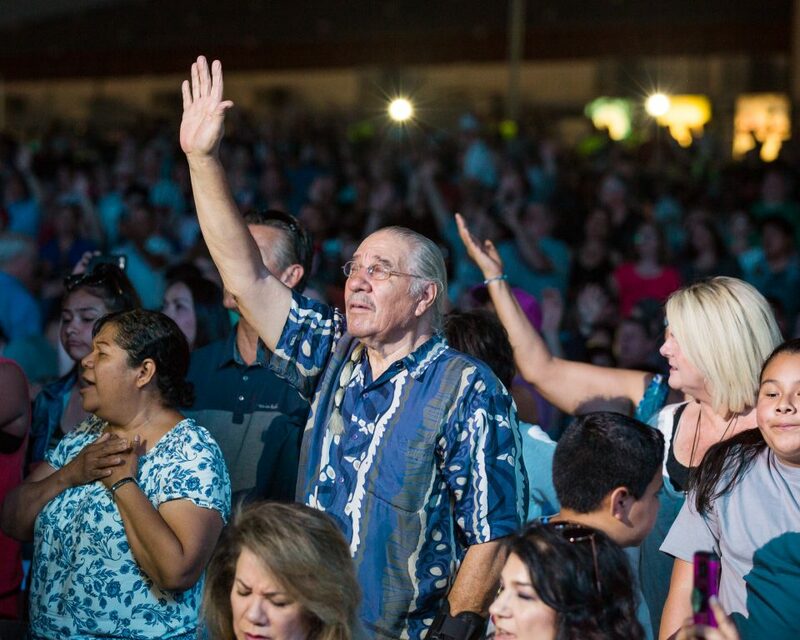 Thousands chose to spend their holiday at the Fresno Fairgrounds for the evangelistic and prayer event. The night kicked off with musical artist Jeremy Camp taking the stage. 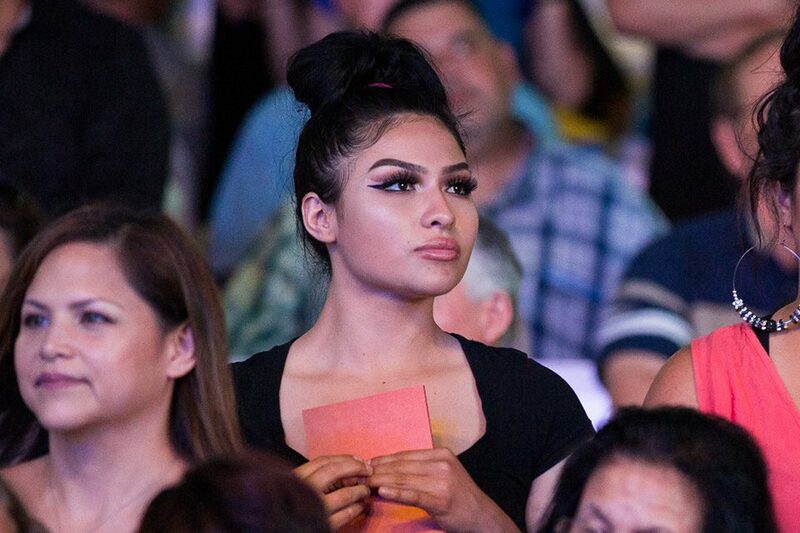 A mixed audience of young and old raised a shout to let the world know Jesus saves in the city known for its fertile farmland. In 2001, Billy Graham spoke in Fresno, California, and he asked the community to pray for the nation after the heartbreaking 9/11 attack. 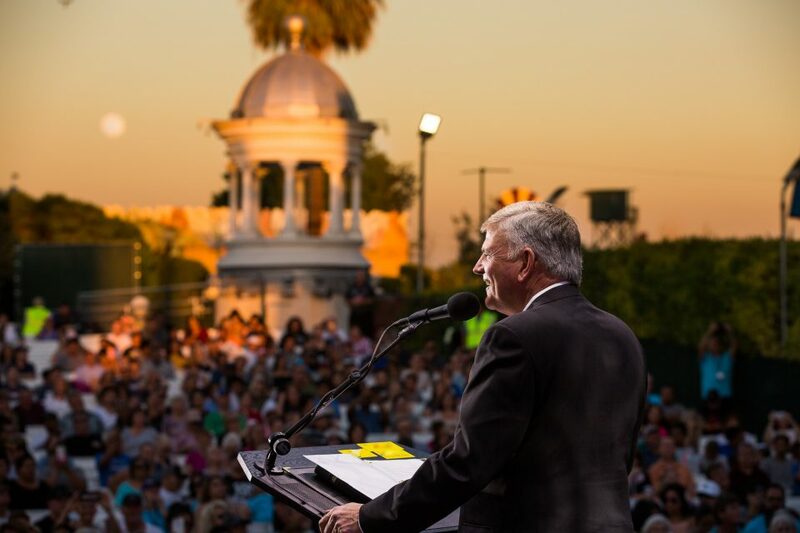 More than a decade later, Franklin Graham visited the city on Memorial Day to encourage the residents to pray for the future of California and all of America. "Remember this: God loves you," Franklin said to those who made a decision for Christ. 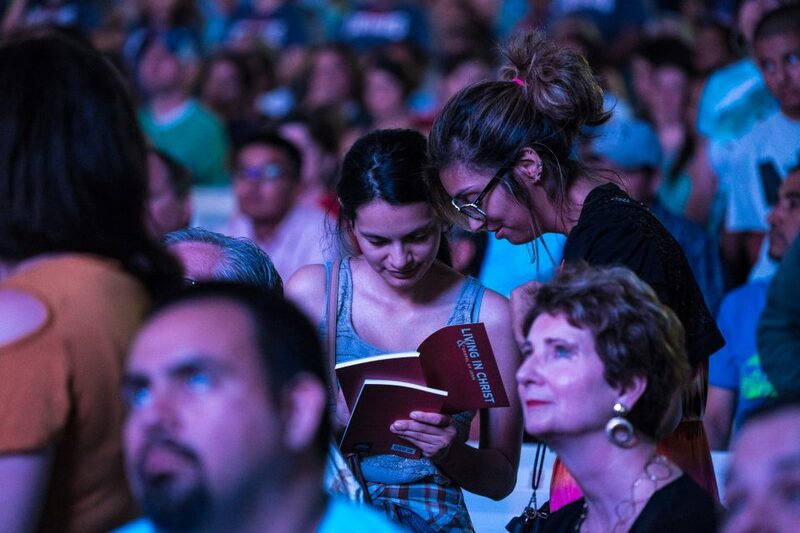 While some shed tears and hugged, others excitedly opened the literature they received to help them in their relationship with God. 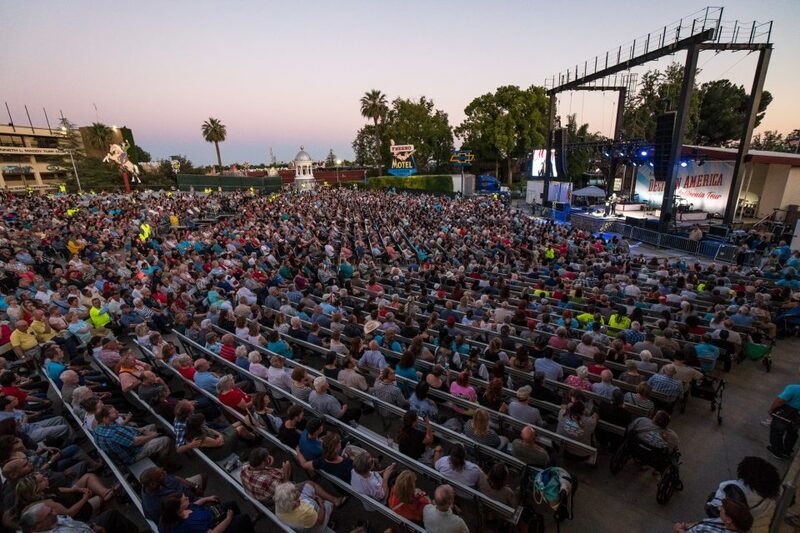 As the evening continued, the blazing sun set and a subtle, cool breeze eased its way over Paul Paul Theatre on the Fresno Fairgrounds. Several people patriotically waved flags as music played, honoring those who gave their lives defending the nation. 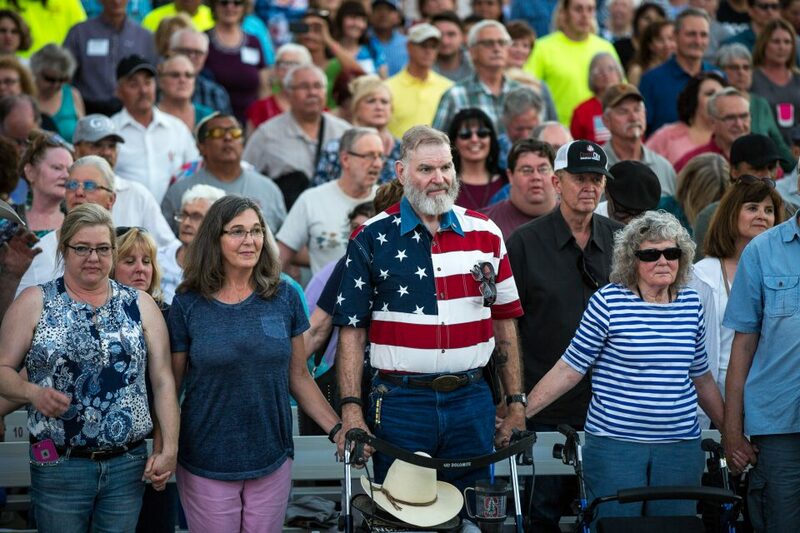 Franklin Graham soon spoke about Someone who paid the ultimate sacrifice for all. In between songs, Jeremy Camp high-fived a little girl who had been joyfully worshipping Jesus. 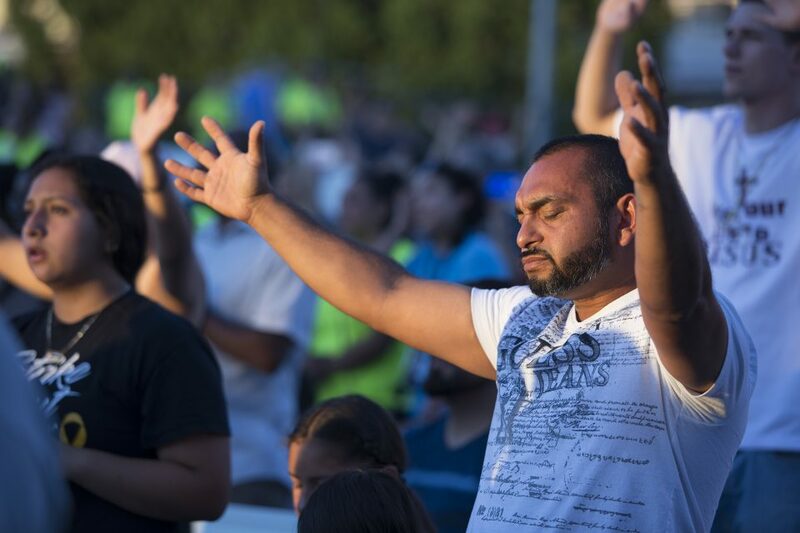 When Franklin Graham gave the opportunity to pray to accept Jesus Christ, people across the theatre stood up. 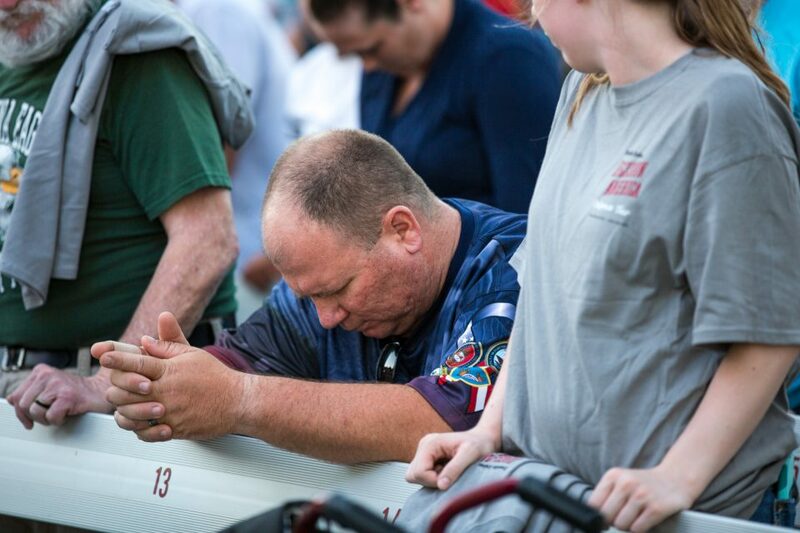 After the initial call, several others made a decision for Christ as well. While in prayer, members of the audience joined hands, showing unity in Christ. 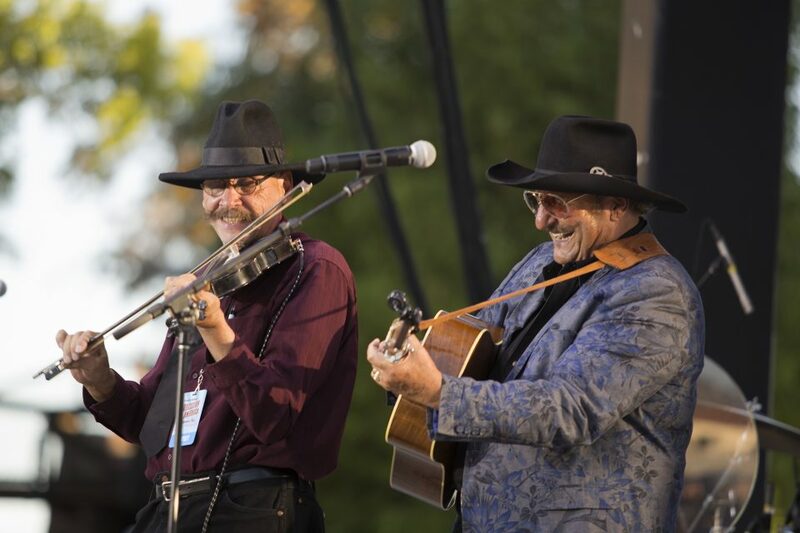 As people streamed in to the theatre, those already seated clapped their hands along to singer Dennis Agajanian's music. A peaceful surrender settled over the theatre as Jeremy Camp sang "He Knows," referring to how God knows all hurt and suffering. 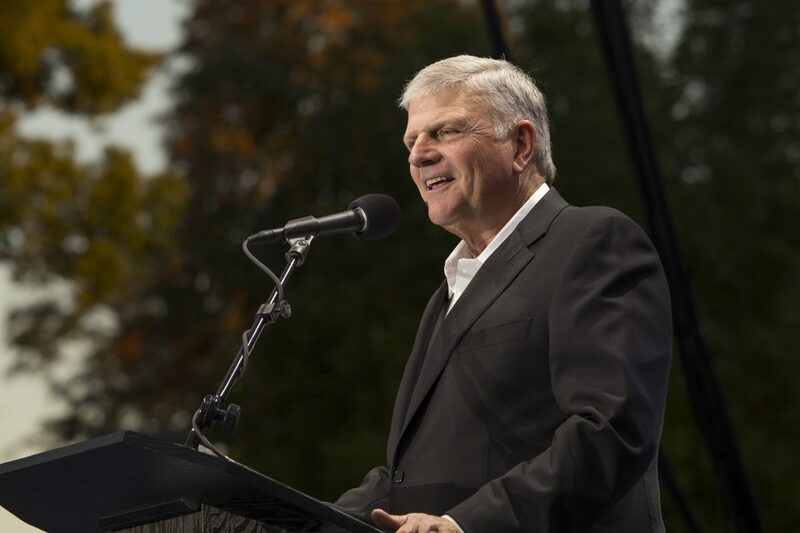 “Religion cannot save you,” Franklin Graham said after sharing the story of Nicodemus in John 3. “You have to have a relationship with God." 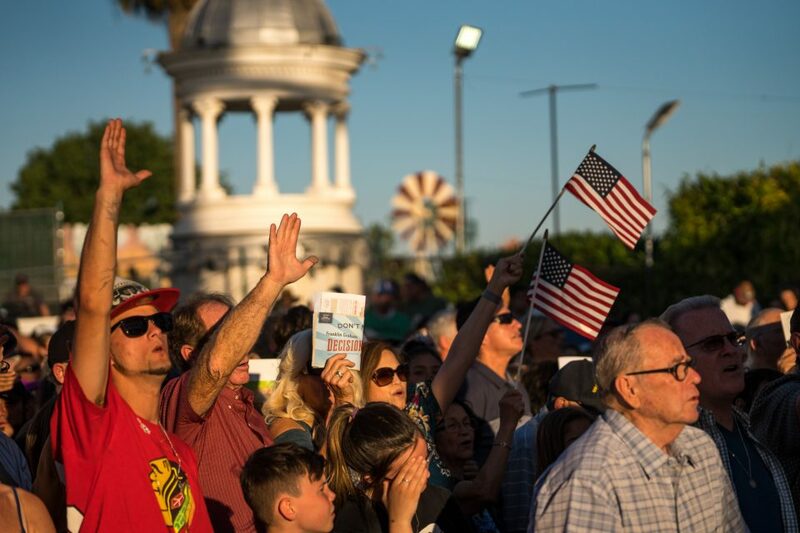 The Decision America Tour continues on to Modesto, California, where Franklin Graham will share a message of God's love on Tuesday. 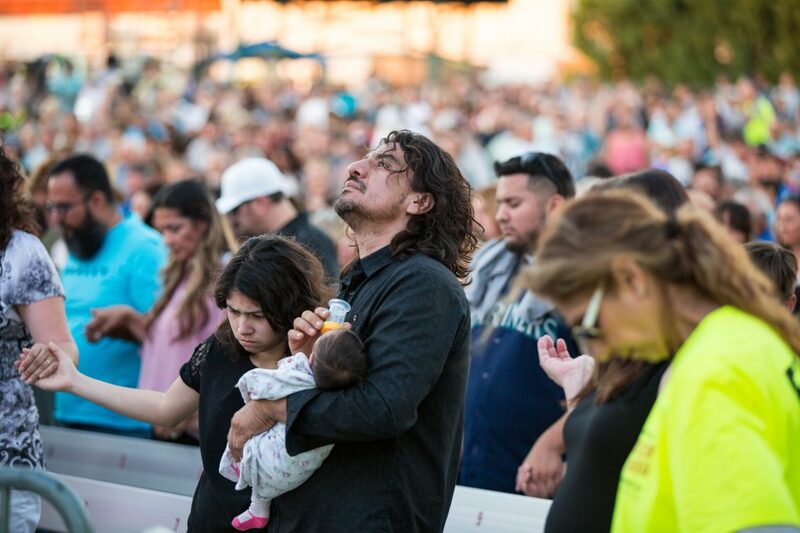 Please continue to pray for the people of Fresno, along with those who attend the remaining stops of the Decision America California Tour.